May 23, 2018 MCLE – Thank you! 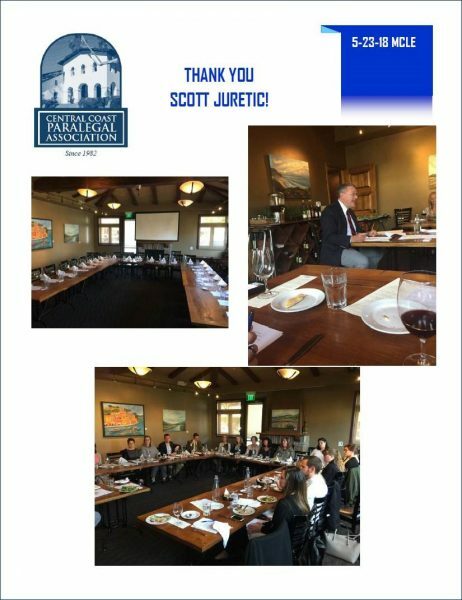 The CCPA would like to thank Scott Juretic for his presentation on the Confidentiality of Attorney Investigations at our May MCLE event at Upper Crust in San Luis Obispo! We also want to thank all those in attendance! Be sure to check out our Events page for additional upcoming MCLEs. Don’t miss the opportunity to get your credits and network with our great local legal community!